If you don’t mind spending the big bucks, and only want the best of the best, then the new Approach S6 Golf Watch (released September 2014) from GPS specialist Garmin is the device for you. It comes in three different colorways, and has all the latest bells and whistles: a full color, sunlight-readable, touch screen interface (glove friendly), smart notification for emails and texts, and fantastic battery life (10 hours on GPS mode). It comes pre-packed with over 38,000 courses from around the world, and does everything you would expect from a top GPS: pinpoint accurate distances to greens, layups, and doglegs, score/stats keeping, and customizable yardage points. This watch even calculates your swing strength and tempo, so you can train yourself to swing more consistently. The watch also just looks fantastic, and will definitely draw the envy from other golfers. If the $400 price tag doesn’t make you flinch, and you want the latest, greatest tech available, then this is the best golf GPS watch for you. Looking for something a bit more affordable? 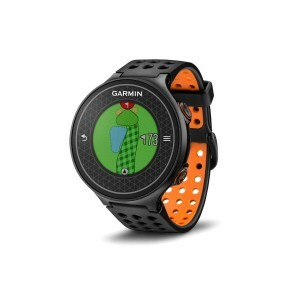 The GolfBuddy WT6 GPS Watch is a great, no-frills alternatives to full featured watches like the Garmin S6. It has all the basic features you need, including 38,000 preloaded courses, and decent battery life (6 – 8 hours on GPS). It will give you measurements to front/back/center green, as well as your shot distance. It’s a bit bulky to wear, and will definitely not help you make any fashion statements. But, for just a little over $100 on Amazon, you can always use the money saved to buy some great looking clothes instead. 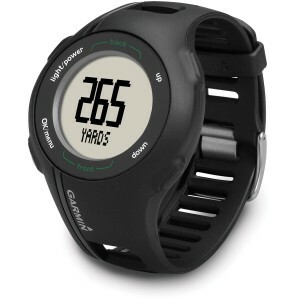 The WT6 gets the job done, and is our choice for the best budget-friendly golf GPS watch. Want the best value for your money? 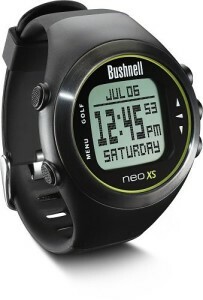 The NEO-XS Golf GPS Watch from Bushnell is for those discerning golfers who are always try to find the best balance between price and quality. The NEO XS is incredibly accurate, comes preloaded with over 33,000 golf courses from around the world, and has absolutely fantastic battery life (about 12 hours or three rounds of golf on a single chrage). It looks great, is one of the lightest Golf GPS watches on the market, and is very comfortable to wear. It gives all the basic distance measurements (front/back/center of green), as well as hazards and layup distances. If you don’t need some of the extra frills of the Garmin S6, the Bushnell NEO XS is easily the best value-for-money golf GPS watch available today. If you don’t mind using an older model, then the original Garmin S1 Golf Watch is a a great buy. The S1 was originally released in 2011, but still looks great and performs up to par with most newer golf watches. It comes preloaded with over 14,000 courses (US or Canada), and can be loaded with more for free online. The S1 has a sunlight-readable screen, and will always provide you with pinpoint accurate measurements thanks to Garmin’s patented GPS technology. It has also has various features like an odometer and automatic time-zone adjustments. Despite its age, the Garmin S1 is still one of the best golf GPS watches available…especially if you can find a used one. What’s the Best Golf GPS Device? Best Golf GPS App for iPhone / iOS The 12 Best Golf Gifts for Golf Lovers What’s the Best Golf Rangefinder? ‹ What’s the Best Golf Rangefinder? 2 Pings/Trackbacks for "Choosing the Best Golf GPS Watch"